Although the game is the big attraction at a Super Bowl party, games will help keep guests entertained and get the laughter going at your celebration. Choose simple, fun games that appeal to guests of all ages and your party is sure to be one of the best Super Bowl parties yet. A successful Super Bowl party is all about having fun with friends and family. Planning Super Bowl home party games involves everyone in the action, even those who don't know an interception from a first down. Create a list of trivia questions. Questions can be about Super Bowl history, recent games, the two teams facing off and even trivia about the teams' locations. You may even want to include famous commercials into the mix. If one of the teams in this year's competition is the home team, you may want to focus your questions on the franchise. You can pass out a sheet of questions for guests to fill out throughout the evening, or you can ask a few trivia questions during breaks in the game. Forming small teams can add fun to the game, in addition to keeping non-sports fanatics from feeling left out. This game is played throughout the party and can result in some hilarious moments for the guests. 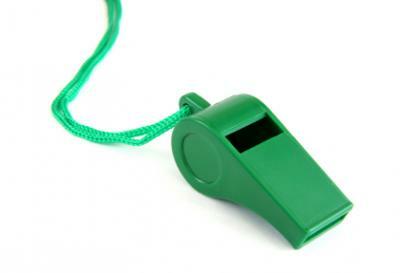 Each person needs a whistle on a lanyard to wear during the party. One or two words are designated as off-limits. Choose words that your guests will tend to say a lot during the game such as football, touchdown or score. If someone says the forbidden word, the person who catches him takes his whistle. Play the game throughout the night, awarding a prize to the person with the most whistles at the end of the party. Are there kids on your Super Bowl party guest list? Plan some special games for them. The adults can enjoy the games as well. A foam football adds a theme-friendly twist to this classic game. The players form a circle with one person holding a foam football. The football is passed around the circle while music plays. When the music stops, the person holding the football is out of the game. This continues until only one person remains. Another option is to use the Super Bowl commercials as the timer instead of music. The person holding the football at the end of each commercial is out of the game. Adding football symbols or words to a traditional Bingo board provides a fun game for guests of all ages. If the children at the party are young, stick with football symbols to make the game easier. Make plenty of extra Bingo boards so the guests can rotate them as desired. Peanuts or pretzels make a fun and tasty marker for the game boards. If your party will include children and teens, Super Bowl party games will be even more important for keeping them interested. These games are sure to be a hit with everyone. A friendly cheering competition pits the guests against each other in a battle of team spirit. If the group is divided down the middle when it comes to a favorite team in the game, use the divide to your advantage. Challenge each team to create a cheer complete with actions. Homemade pom poms using streamers and tape add a fun twist to the competition. After each group performs its cheer, determine the winner based on creativity and overall fun. 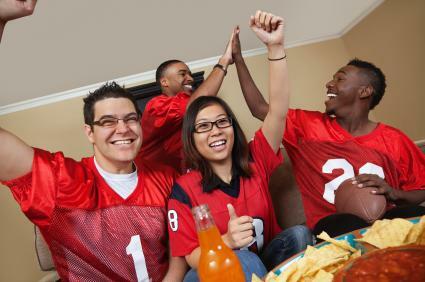 Create a list of Super Bowl words, football terms and words related to the party for guests to act out. For instance, if the New Orleans Saints are playing in the Super Bowl, you could include Mardi Gras or Bourbon Street on the list. Tailor the words to the age of those playing. Children can draw footballs, stadiums and jerseys, while adults may be able to communicate more complex football terms. If you have multiple television sets, set up a video game room for those who are more interested in interactive sports. Wii Sports can be fun for all ages, and football fans love playing the latest version of Madden NFL. Adults can take turns supervising the room, or a volunteer who isn't interested in the big game can take charge to coordinate tournaments and make sure everyone has a chance to play. No matter which games you choose to play, they are sure to add to the fun of your next Super Bowl party. 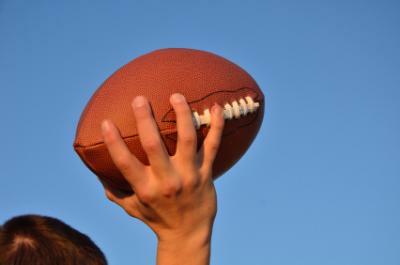 Games work well as a warm up before the Super Bowl begins or during breaks in the football game. Adding a few games to your Super Bowl bash is sure to keep the party interesting for all involved.